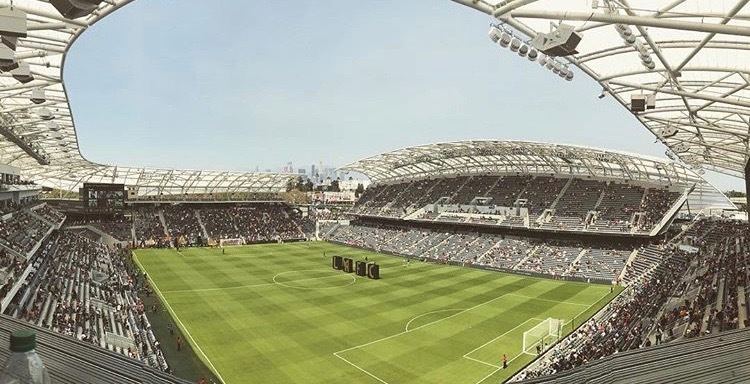 LAFC takes on LA Galaxy tonight at Banc of California stadium for their second #ElTrafico showdown. A soccer game between two crosstown rivals is about to be played at a soccer-specific stadium in Downtown LA where both MLS teams have Mexican players. What a journey it’s been to get here. I grew up a Galaxy fan. I used to go to the StubHub Center when it was still called the Home Depot Center to go watch them play (I know there’s even cooler OG fans that watched them when they played at the Rose Bowl). One of the clearest memories I have is seeing Carlos ‘Pescadito’ Ruiz score and the animation of a fish leading the ball towards goal on the jumbotron appear for his celebration. It was really cool. My family has always loved soccer. My father played. All three of my brothers play. I used to play. It’s always been about soccer. No other sport compared. So, we followed the soccer wherever it was. For years and for us specifically growing up, that meant going to Carson to watch a local LA soccer team play. We witnessed it grow from Cobi Jones’ team to Landon’s team. Then to Beckham’s team. And, at least for me, I remember really paying attention to them as I got older and watching them win; from 2011, 2012 and actually being at the game in 2014 in Donovan’s “last” match with the team, LA Galaxy was the first to five. They were a strong, winning team. So when Giovani Dos Santos was set to join the team in 2015, as a fan of both El Tri and LA Galaxy, I was excited. It was the MLS but I’d get to see a Mexican player in my “city” (or at least, pretty close to my city). I was there at his first game on August 6th, 2015 for #BienveniDosSantos. Loads of Mexico fans showed up that night. I even dressed my oldest son up in a Mexico kit for that game. It felt special. My national identity and my local team were going to have a connection that existed at a time I had begun to love the sport more than ever before. I didn’t go to Downtown a lot growing up; at least not to visit. My dad used to provide rides to tourists for lower prices than taxis offered (this was pre-Uber days) so we drove through Downtown Los Angeles consistently. I would watch buildings along Figueroa pass through the window and see cool places like the Coliseum Staples Center and LA Live from a car. It wasn’t until it was time to pick colleges that my faint familiarity with the area and my sudden fear of being away from home made me decide to go to the University of Southern California and study journalism. Around the same time I started going to USC, my older brother began to play in an all-men’s adult league that held its matches at a school along Vernon Ave and other schools within the city. I got to be really exposed to the soccer culture outside of my own neighborhood during those matches and when I would walk along Vermont Ave and see a girls’ league play matches behind the John C. Argue Swim Stadium. Any direction you went, there were fields. Even at parks with torn out grass primarily covered in dirt, there were young and old people ready to play — a lot of them Hispanic; a lot of them Mexican. During my undergrad, I interned for the USC Athletics Marketing Department and worked a few women’s volleyball games during my brief time there. 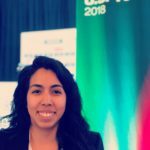 Not knowing much about sports outside of soccer, I was completely amazed by the amount of Mexicans that would show up to the games and line up afterwards to get an autograph from Samantha Bricio, the youngest player to play for the Mexico National Volleyball Team. I was amazed, but not surprised. Mexicans are always there to cheer on anyone that represents the colors. They’d also showed up to the USC Women’s Soccer Games and I remember as an inspiring journalism student who wanted to cover soccer, feeling this sense of incompleteness. Here was this conglomerate of passionate Mexicans who loved their culture and had created a location to really feel that. To follow whoever and whatever had a connection to the culture. I remember how excited I got in 2014 when Mexico was returning to the Coliseum to face Ecuador. My team in my city playing at the Coliseum. A venue that for my whole undergrad belonged to USC’s football team — an American sport that I knew about but wasn’t connected to. It was a momentary moment of feeling complete and then it was gone. I wanted it back. When they announced in the later parts of 2014 that the MLS would be awarding an expansion team to Los Angeles, I immediately knew they would miss out on an opportunity if they didn’t bring a Mexican player to the team. I was dead set on it. I even made my final project for my Sports and Media Technology class on what LAFC’s strategy should be when it came to a Mexican player and even about the location of their venue. And it happened. The old Sports Arena would be torn down to make way for Banc of California Stadium. A soccer stadium in Downtown Los Angeles was going to be a reality. Seeing it grow in bits and pieces when I would go visit the USC campus or when I went to Mexico’s friendly match against Croatia (again at the Coliseum and this time, I was actually covering it) in 2017 reminded me that the incomplete feeling was finally going away. When I drove out to the first LAFC home match, it felt so nice to be heading in the direction of my former university and know there was a soccer stadium within the grasp of the aspiring journalists there who wanted to cover soccer games. As for the fans, the relationship they have with the team has been an instant love story. The incompleteness they must’ve felt for years — longer than I ever felt— being in Downtown and not having a soccer team was finally vanishing. The Mexico fans and Mexican people that have inhabited one of the largest cities in the world with one of the largest populations were not only getting a soccer team to cheer for but now actually have one of their own playing for that team. Carlos Vela joining LAFC was a reminder that the team was not going to forget about whom the team was going to represent and validated those feelings that those in the community had. 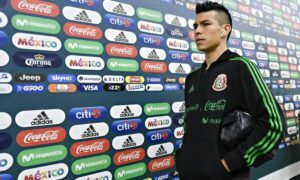 Not just that, it was refreshing for those in this community who might have not felt compelled or as close to LA Galaxy either for geological reasons or a sense of figurative detachment to be able to have a Mexican player on their team. 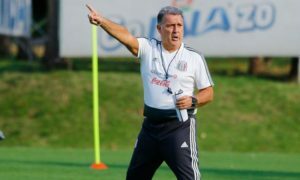 Plus, for an expansion team, it also helps acquiring talent like Vela or Blessing or Diego Rossi and even the recent addition of Adama Diomande (Dio) that allows the team to be in the 2nd place spot they currently hold in the Western Conference. It’s a strong start to the relationship — a relationship that might begin to get hindered given the raise in season-seat prices next season should the proper steps not be taken. When the first rivalry match took place back in March at the StubHub Center, it felt slightly underwhelming to begin with. Vela would be taking center stage for LAFC as one of the their leaders but Gio and Jonathan Dos Santos (Jonathan joined the team in 2017) wouldn’t be playing. The clash of Mexican players would have to wait. That obviously didn’t take away from the excitement of the match. Vela would score two goals and solidify the support he’s gotten both from Downtown natives and the Mexican fans that have always supported him from a national team standpoint. An own goal would add to the LAFC’s excitement. But LA Galaxy would bounce back in the second half and give us one of the greatest sports’ stories ever unintentionally written with Zlatan’s golazo minutes after he was subbed in and just hours after he had arrived to Los Angeles and LA Galaxy’s 4–3 comeback win. The legacy from LA Galaxy was still there. They were still the ones that had been here longer. They were the first to five. As a Galaxy fan, it was a nice reminder that my team was still in there, somewhere, fighting hard when it mattered to reappear and remind everyone who was who. 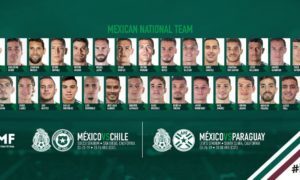 As an El Tri fan, it also made me feel relief that Gio and Jona were part of team that could get it together and hopefully, give redemption to them individually and their legacies (but that’s a story for another time). This time, though, everyone will be there. It really will be Vela against the Dos Santos brothers (and Zlatan). Mexican players on opposing teams will be playing at Banc of California Stadium in Downtown Los Angeles. There will be a winner on the field and the “Kings of LA” will be declared. There’s a strong desire for victory from both sides. But outside the field, the real winners will be those who will finally feel complete — who will finally have this soccer rivalry in Downtown either from a El Tri national team loyalty or from a new love with LAFC. Either way, this sport is growing. Wear black. Wear white. Wear whatever you want. I’m just very excited for what’s to come.